This utility will open the support section from our website (www.asap-utilities.com) in your default internet browser. 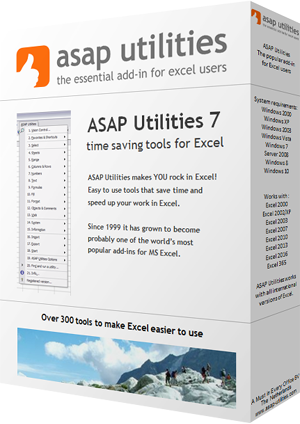 Do you have a question about ASAP Utilities or do you encounter a problem? Then please first read our list of frequently asked questions (FAQ) on our website because chances are big that you will find the answer there. The support section is in English.